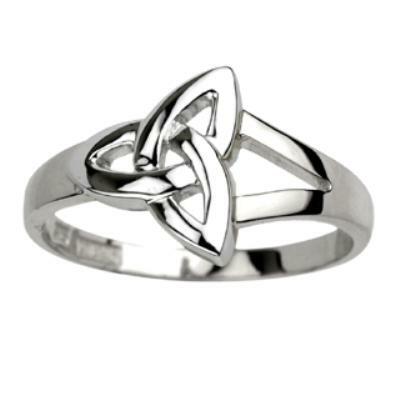 Ladies Sterling Silver Trinity Celtic Knot Ring. 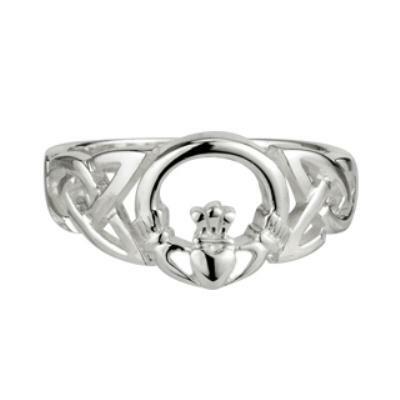 This ring features a traditional Trinity knot design. The Trinity knot is one of the best loved Celtic designs. 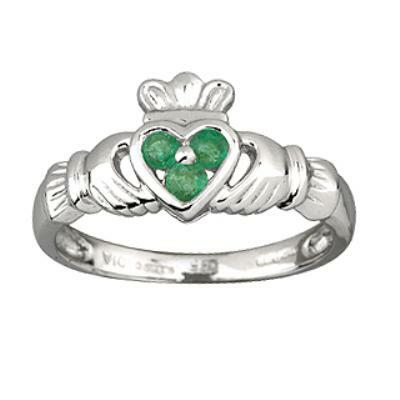 The knot symbolizes the eternal or everlasting as it has no beginning and no end. 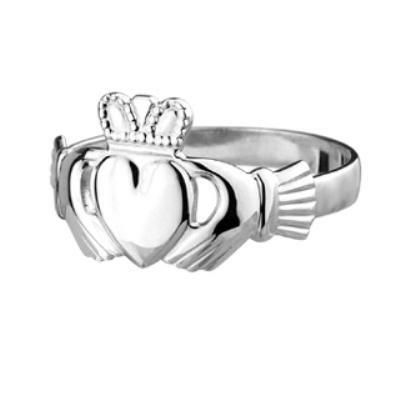 Made in Dublin, Ireland by Solvar jewelry.